Mark Maslin FRGS is a Professor of Physical Geography at University College London. He is a Royal Society Industrial Fellowship and Founding Director of Rezatec Ltd. He is science advisor to the Global Cool Foundation, Climatecom Strategies, Sopra-Steria, and Carbon Sense Ltd. He is member of Cheltenham Science Festival Advisory Committee. Maslin is a leading scientist with particular expertise in past global and regional climatic change and has publish over 150 papers in journals such as Science, Nature, Nature Climate Change, The Lancet and Geology. He has been awarded research council, charity and Government grants of over £40 million. His areas of scientific expertise include causes of past and future global climate change and its effects on the global carbon cycle, biodiversity, rainforests and human evolution. He also works on monitoring land carbon sinks using remote sensing and ecological models and international and national climate change policies. Professor Maslin has presented over 45 public talks over the last three years including UK Space conference, Oxford, Cambridge, Leeds, RGS, Tate Modern, Frontline Club, Fink Club, Royal Society of Medicine, British Museum, Natural History Museum, The Baker Institute, Goldman Sachs and the Norwegian Government. He has supervised 10 Research fellows, 15 PhD students and 25 MSc students. 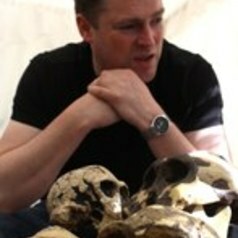 He has also have written 8 popular books, over 30 popular articles (e.g., for New Scientist, The Times, Independent and Guardian), appeared on radio and television (including Timeteam, Newsnight, Dispatches, Horizon, The Today Programme, Material World, BBC News, Channel 5 News, and Sky News). His latest popular book is the high successful Oxford University Press “Climate Change: A Very Short Introduction” the third edition was published in 2014 and has sold over 45,000 copies. Maslin was also a co-author of the 2009 Lancet report ‘Managing the health effects of climate change’. He was included in Who’s Who for the first time in 2009 and was granted a Royal Society Wolfson Research Merit Award for the study of early human evolution in East Africa in 2011. He is currently the Director of the London NERC Doctoral Training Partnership.